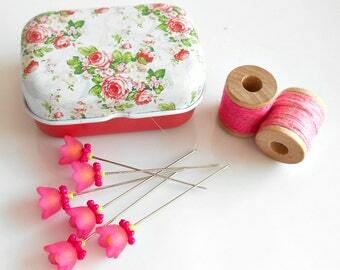 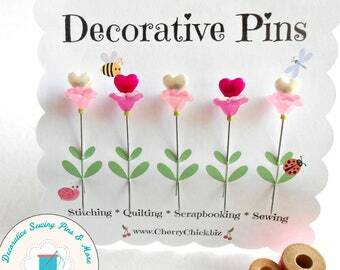 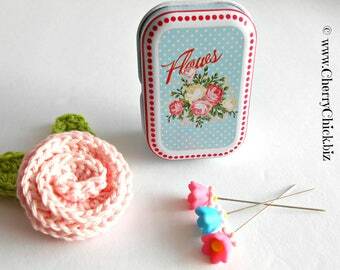 A set of floral sewing pins in a charming flower hinged tin. 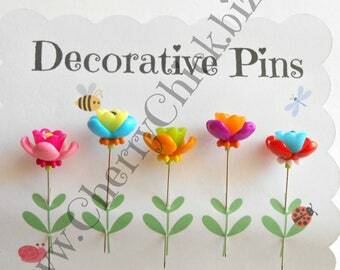 You'll receive 6 decorative pins in each tin. 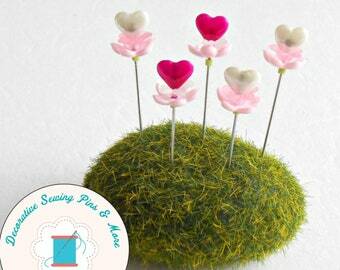 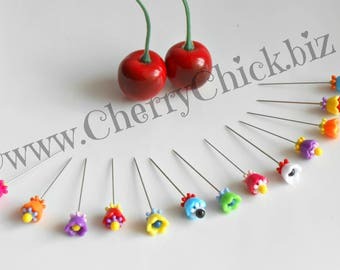 Add some sweetness to your pincushion. 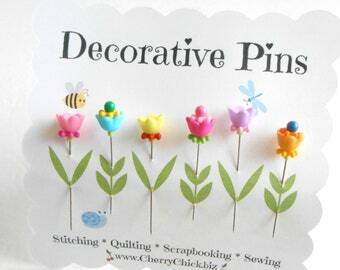 Decorate a hat or lapel, dress up a bulletin board, add interest to a scrapbook page, or handmade card. 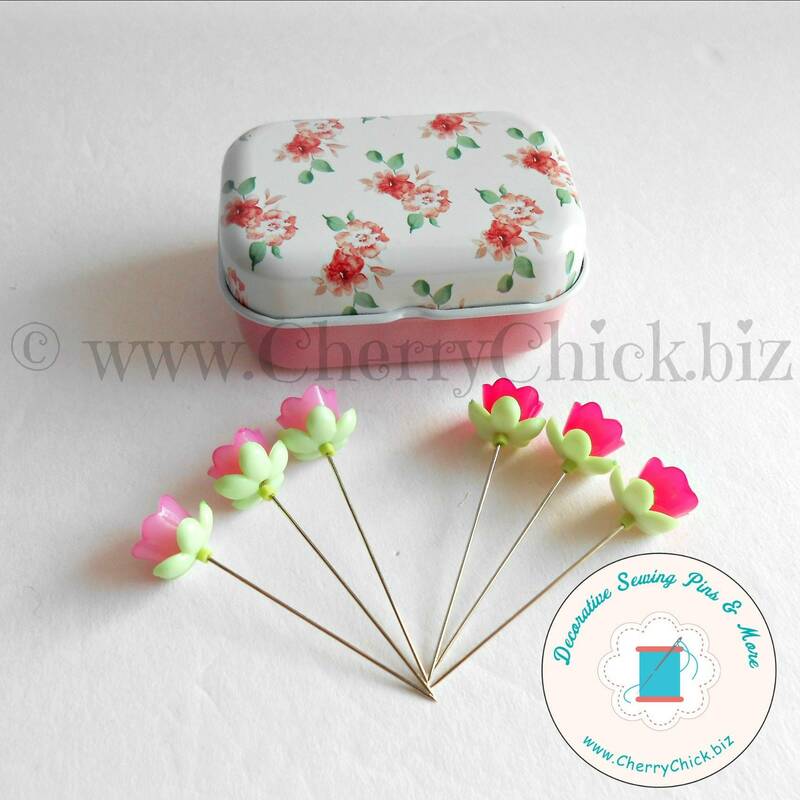 Some photos in this listing contain other items that I sell in my little shop. 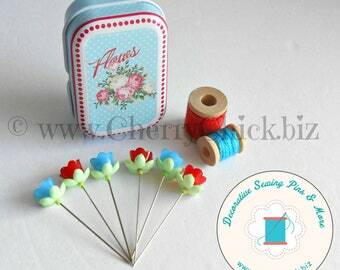 The others items have been included as photo props. 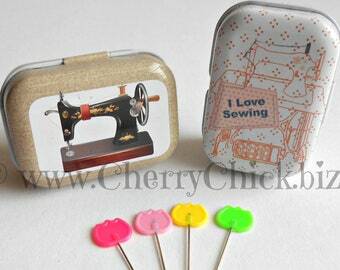 This listing is for one tin with 6 pins.